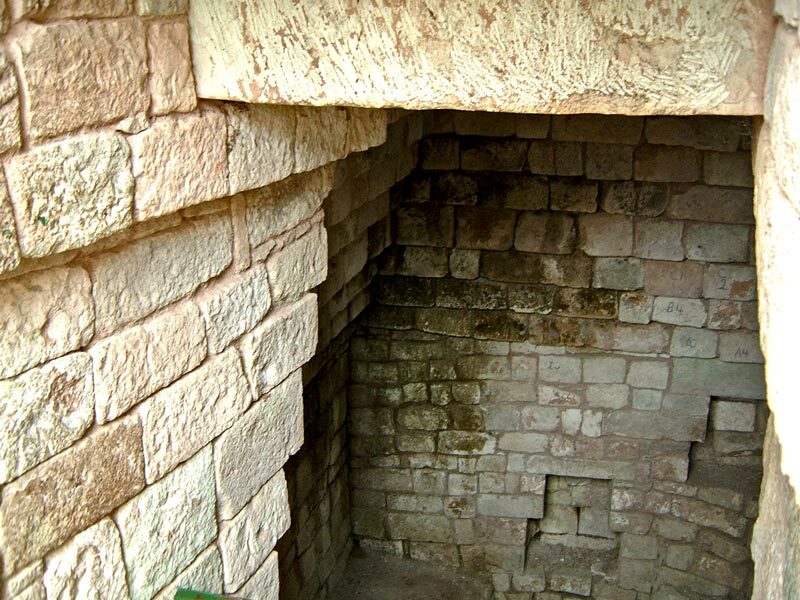 This is the corbelled entrance to a tomb underneath Structure 10L-18 at Copan, which is thought to have been built for the last Ruler of Copan, Morning-Sun-At-Horizon. You can see niches in the wall where offerings would be left. The rather haphazard brickwork speaks volumes about the way the Maya constructed the façades of their buildings in an orderly geometrical way, but the insides were often awkward or unkempt. This is thought to reflect a philosophy of the Maya, about the external appearance and internal states of human beings (click here to read more).